Moving with your furry friend is much harder than moving alone. Still, you maybe don’t know that pets can also feel all the burden of the moving stress. They are empathic creatures that feel your anxiety. Pets can’t tell you what’s wrong. They can’t understand why everything is changing so sudden. It is up to you to take care of your pet so this transition will be easier for them. 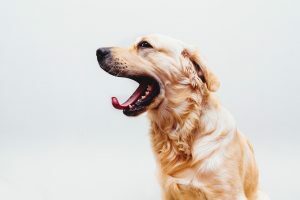 Yawning – Despite the contrary belief, when your pet is yawning its not the sign that is sleepy. It is a sign that is under anxiety. Excessive shedding – While all furry pets are shedding, it’s usually happening with the change in seasons. If you notice that hair from your pet drops excessively, it’s the clear sign that is under stress. Destructive behaviors – When your normally calm pet starts to destroy your household items, try not to yell at him. In that way, your pet may try to alleviate anxiety by chewing or biting furniture. If your pet starts to act aggressively and contrary to its nature, it a clear sign that moving stress is taking its tool. Avoidance – When your pet is avoiding eye contact, other people, pets and even you, that means that’s something wrong. If that behavior begins when you start moving process than the moving stress is one to blame. Yawning is the first clue that your pet is under stress. 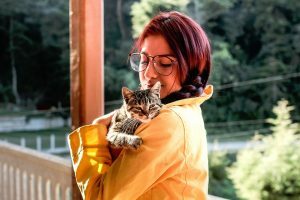 How to help your pet deal with moving stress? As an owner, you are responsible for the wellbeing of your pet. That doesn’t mean only regular walks and meals, it means that you are taking care of its emotional needs too. In the chaotic process of moving, you will be under a lot of stress, but so will your pet. While you can use many techniques to relax during the moving, your pet doesn’t have that luxury. He depends on you. It may seem overwhelming, but try to put yourself into its shoes. Your pet doesn’t understand what is going on. He doesn’t know why you are nervous, why you are clearing out your house and why you don’t have time for him. It deeply senses that a big change is coming, but doesn’t know what. It is up to you to help it cope with moving stress and not to feel neglected. For the sake of your pet, consider hiring a reliable moving company for your relocation. 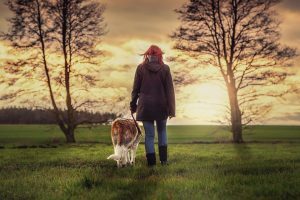 It will take off a lot of burden off your shoulders, make you less stressful and leave you more time to help your pet deal with this huge transition. Pets know something is up before you move. You are getting rid of things, packing your belongings, cleaning. There are unfamiliar people as you talk to the realtors, moving estimators or repairmen. There are boxes everywhere, and your pet maybe spends lonely hours in the closed room so it won’t be on your way. As your routine is interrupted, so is your pet’s. All this cause your pet to fell all the impact of the moving stress even before your relocating actually begin. Like there are many moving tricks that can help you with your relocation, there are also some things that you can do to make relocation easier for your pet. Don’t change the meal time -Try to keep feeding your pet at the same time as usual. It is essential to keep the pet routine as similar as you can. Play with your pet – When you are neglecting or ignoring your pet, it will make it stressful. Your pet doesn’t understand why you don’t pet or play with him all the sudden. Make sure you are still giving your pet enough attention. Take them out – If you have a dog it is very important to take him to his usual walks. If you are overwhelmed with moving preparations and don’t have time to do it yourself, ask a friend or a family member to walk it. Regular walks is a great stress reliever. For your dog and for yourself. Moving day is such a hectic time. No matter how far your new home is, your pet will deal with a lot of moving stress. Keep them with you – It’s not a good idea to leave your pet at the kennel on a moving day. While that is a practical solution when moving with a pet, it can traumatize him. Your pet something was up prior to the moving day and if you leave him in the unknown environment, he will think that you have left him forever. If it is impossible to keep your pet by your side, ask a friend or a family member that your dog know to take care of him for the day. If there are other pets that he can play with there, even better. Proper identification – It is crucial that your pet has ID on him during the move. If he gets loose during the move, it may run away. It’s best to have two forms of ID – a collar with a tag, and a microchip and. Familiar objects – It is a good idea that you bring some of your pet’s favorite objects in your bag during the travel. That way, when you arrive at your new home, it will at least have some familiar smells. Play and cuddle – Give your pet attention during the move. Petting and playing with it will release some of its tension. When you show your pet that you love and care for him, it will be easier for him to relax. Adapting to a new house may be easier for your pet than to you. It may take a while to make your rental to feel like a home, but your pet won’t feel that way. After the moving stress pass, it will be curious to explore every corner of its new home. Still, letting a pet, that is still anxious because of the move, lose in a new environment isn’t such a wise thing to do. Pets don’t generalize rules. Rules that apply in your previous home you need to enforce again in your new home. When your belongings arrive and you start unpacking, the loose pet can be very dangerous. To itself and for your belongings. Restrict their access until all the things are put away. A good way to adapt your dog to its new home is to stick to its routine. Walk your dog regularly, so it will remember its environment. It might take a little bit of time. That’s why you could hire some moving services that will save you a lot of time which you can dedicate to your pet instead. In this transition phase, avoid additional stressors. If your pet hates grooming or bathing, don’t force that on him immediately after the move. A stinky and happy pet is always better than the anxious pet.